​Please be advised that Riverwoods Road, north of Half Day Road/Route 22 to Everett Road, and the side streets along the race course will be closed from 7:55 a.m. to 9:00 a.m. on May 18, 2019. No street parking will be allowed on the race course. You will only have access to Riverwoods Road in case of an emergency. For the safety of our participants, we strongly encourage all residents to schedule entry and exit of the race area before 7:50 a.m. or after 9 a.m. We appreciate your understanding and apologize for the inconvenience. Please email pto@d103.org with questions. 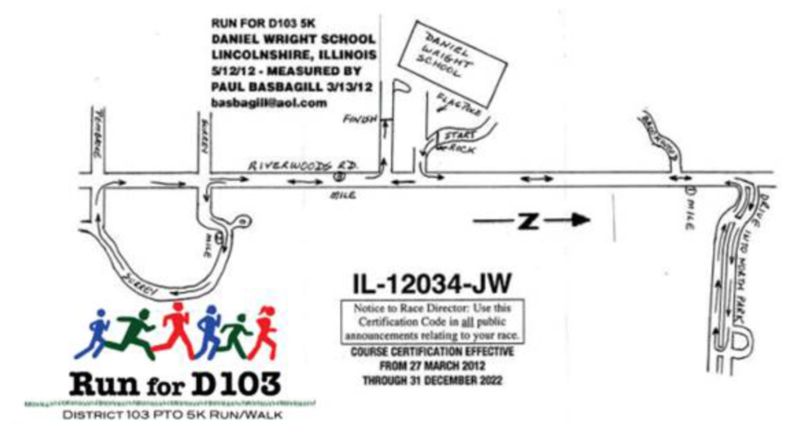 One on-course water station will be located at approximately the halfway point. Runners/walkers must maintain a 20-minute per mile pace and complete the full 5K (3.1 miles) distance, start line to finish line, within the event time requirement of 1 hour, 2 minutes (mm:ss/62:59). Runners/walkers who finish outside of the time requirement may not be recorded as official finishers and may not receive full on-course support. 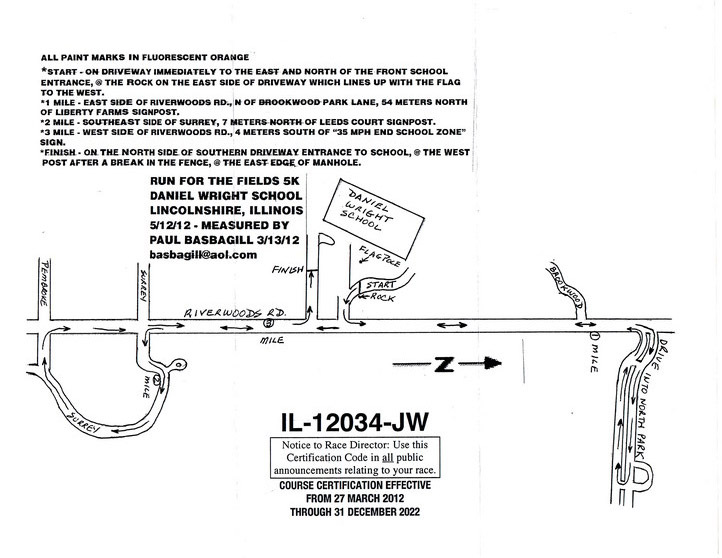 Timing checkpoints are positioned at the start line, 2.5 mile mark, and finish line. Your timing device will register your time at each of these checkpoints. ​Mile markers are positioned at each mile. A digital clock, positioned at the finish line will display the elapsed race time, which begins with the start of the race at 8:00 a.m.. Your individual race time may differ depending on when you cross the official start line.